Here at Resmar we are proud to be associated with the Sabre range of safety and fire fighting equipment. The emergency breathing systems they have designed are extremely economical and reliable and have been carefully researched and designed to give the professional firefighter the ultimate in personal safety. 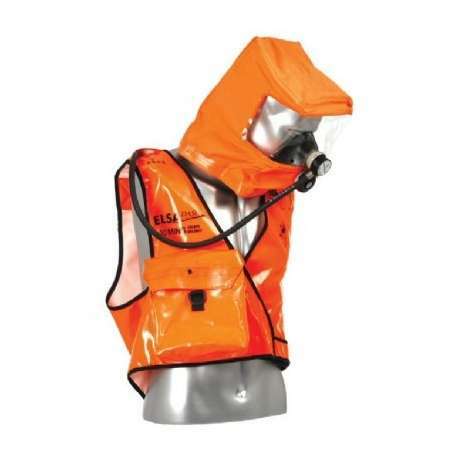 The Elsa Safety Dash is an emergency breathing system that is based around the idea of a constant flow escape system along with an integrated hood. It has been designed for use in industrial and marine environments. The Elsa Dash is available in both 10-minute and 15-minutes versions. It is extremely simple to use and requires almost no training. the hood features a unique cuboid design combined with elastomeric seal which gives excellent visibility and is easy to don and doff. The bag version of the Elsa Dash features automatic activation upon donning. The cuboid design means that the hood allows wearers with glasses to use it without difficulty. 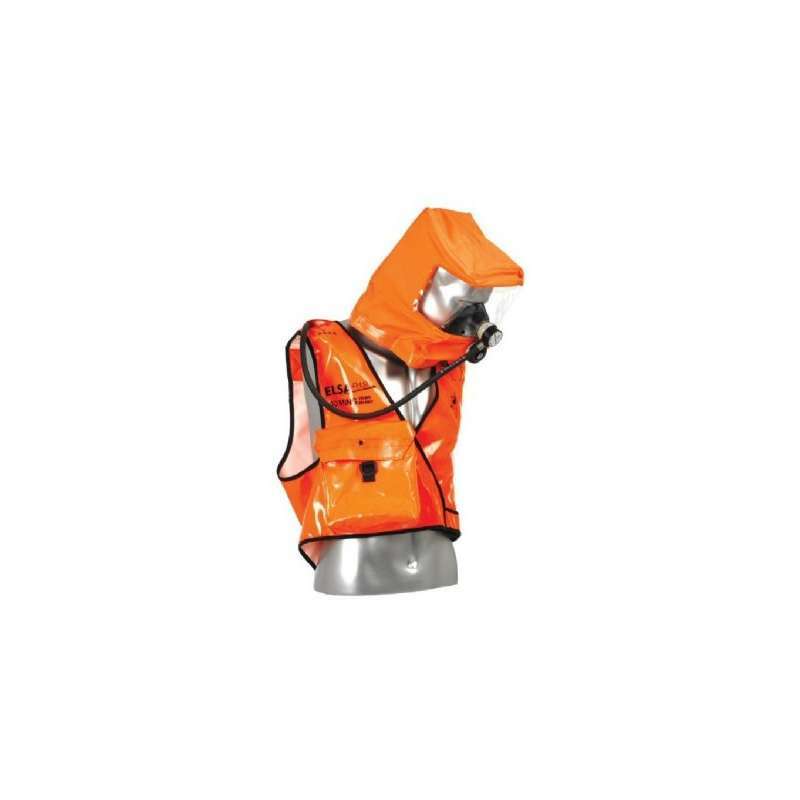 It is available in two colour systems either orange high visibility PVC (bag version) or black anti -static jacket version. These systems are extremely economical, easy to service and maintain and feature a separate cylinder and pressure reducer. The system is in full compliance with CE EN1146 .